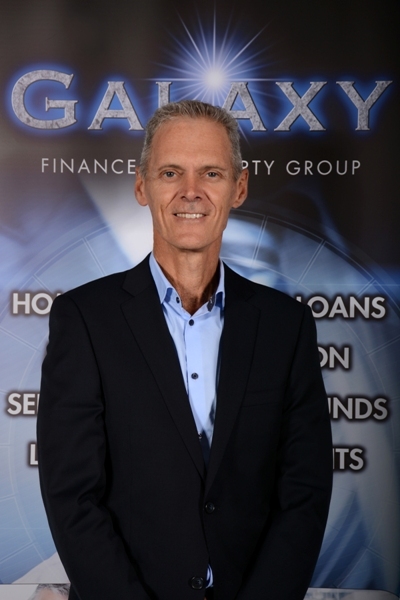 Ken Davis is an employee of Galaxy Finance & Property Group. As a Finance professional, Ken's attention to detail is essential in matching a product to the client’s goals. Fulfilling the client’s wishes but also realising the potential to add benefit and exceeding their own expectations. A comprehensive understanding of Loan products from over 30 lenders has helped in assisting clients pay off their mortgage well ahead of the standard loan term. Ken loves helping people and he has helped many clients improve their financial position by paying off their own mortgage quickly, reducing their taxable income and increasing their wealth for retirement. Adding a property portfolio to your retirement plan can certainly help you to realise your dream of retiring comfortably. Ken & the Galaxy team can expertly show you how.